Here are 18 smart and really easy-to-do nail art designs. Now, celebrate festive season in style! The festive season in India is marked by the beginning of Autumn. Eid, Navratri, Dussehra, Karwa Chauth, Diwali, Christmas and finally New Year! So, it typically gets extended to December. To be a part of the joyous celebrations, it is a must to be well-prepared. So, all you ladies out there. Get inspired by the simplicity, traditions, and colors of our rich culture. Select your attire, hairdo, makeup to look great this entire festival season. Amp up your style statement with smart and easy nail art designs which add glory to the festive look. Take a look at our 4 highly recommended nail art designs which can be done using a sponge, toothpick, glitter dust and scotch tape at home. 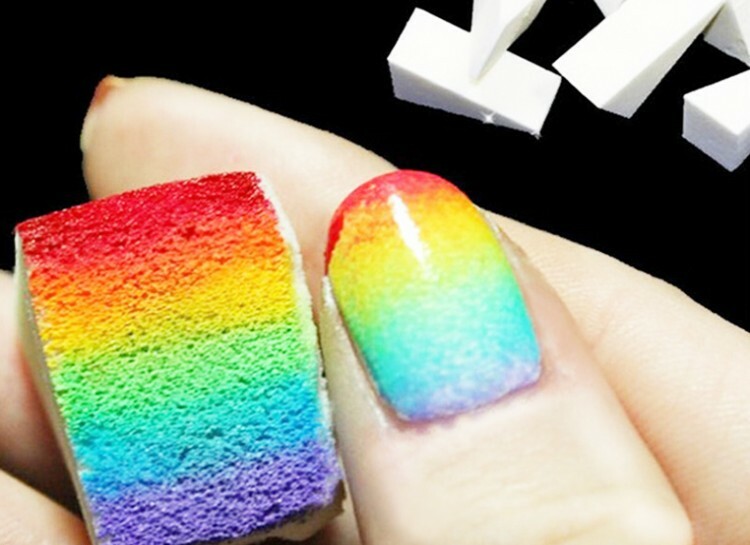 Sassy and easy-to-do at home, gradient nail art can be easily done using a sponge. In addition to that, you would also require nail polish colors that compliment each other. If you want to go bold, you might want to experiment with a ‘too contrasting’ combination. Get started by using the lightest of the two shades you select, and, paint your nails. Once dry, take the bathroom sponge and dab it directly down on to the graduation (basically, that point where the second nail polish meets the first one on a flat surface). Now, dab the sponge directly on to your fingernail. 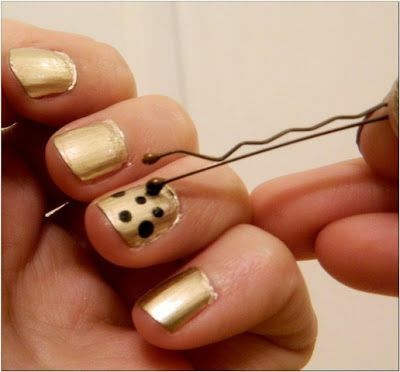 The trick is to gradually and slightly move the sponge up and down your nail. Glitter and glamour go hand-in-hand. Besides, what better way to add bling than to paint your fingernails in the golden or silver dust? The easiest way is to purchase a bottle of glitter polish. Apply a base coat of any color that you want and when it is completely dry, apply a dash of glittery polish on the base coat. That’s it! For a classy look, apply an elegant shade like coral, and on the ring finger, apply a coat of glitter in a shade from the same color family. Better still, for a true diva look, paint your nails with a really loud ‘fiery festive’ orange shade. Then use your artistic creativity to stick multi-colored sequins for an ultimate look! Gorgeously symmetrical nail art design meant to be flaunted by those who love everything perfect. To be able to achieve the straight lines, it’s best to make use of a tiny scotch tape-cuts. From a simple diagonal to gingham/plaid, everything can be achieved at home!